The last parameter of big bang nucleosynthesis . . . is being pinned down by measurements of the deuterium abundance in high-redshift hydrogen clouds. In the era of the Hubble Space Telescope it is a common experience to be both intellectually and emotionally stunned by the detailed beauty of images from space. Cosmic clouds, light years in their dimensions, are observed where fetal stars are moving toward birth and delicate nebula mark the graves of deceased stars. No words can capture the awe brought by these cosmic images. It is also commonplace to learn about a new discovery that astronomers and astrophysicists have made. Sometimes, these discoveries are mysterious and take time to embrace with understanding. This was the situation in 1996. In that year, a group from the California Institute of Technology was engaged in a survey of the sky called the Digital Palomar Sky Survey. During this work, astronomers discovered a strange object glimmering in the night's sky. It was neither a star nor a galaxy. Astronomers remained puzzled by this phenomenon for three years—until mid-1999. In June of 1999, a member of the Caltech team appealed to astronomers at a meeting of the Ameri can Astronomical Society in Chicago to help establish the identity of this 5- to 7-billion-year-old mystery object. What is it? Finally, in August, one of the two most powerful telescopes in the world was trained on the light emanating from this mysterious object. Into the bore of the telescope at the Keck Observatory in Hawaii came the wavelengths of light emitted from this strange object and in those wavelengths was a distinct pattern of emissions from the hydrogen atom. These spectral wavelengths emanating from hydrogen atoms in this celestial curiosity enabled scientists to identify it as a quasar, a perplexing quasar to be sure, but a quasar nonetheless. Once again, hydrogen, the atom of the heavens, came to the assistance of anxious astronomers and helped resolve a puzzling observation. It was hydrogen's Balmer series of spectral lines that, in 1963, helped resolve the enigma presented by mysterious quasi-stellar objects that later came to be called quasars. It was hydrogen's 1420 Mc. hyperfine spectral transition that provided detailed knowledge of galactic structures and astrophysical processes. The prominent place of hydrogen in astronomy and astrophysics should not be a surprise: hydrogen was the dominant, and likely the first, atom to emerge from the big bang. The big bang is now the accepted cosmological explanation for the origin of the universe. It became so for the best scientific reasons: big bang theory was provocatively suggestive. Both experiment and theory could be brought together to check its predictions and consequences. However, before key predictions were either made or confirmed, big bang cosmology had tough competition. It is always risky to identify the origin of an idea. 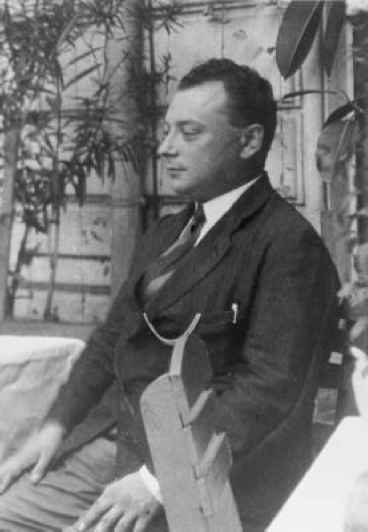 The basic idea of the Big Bang may be identified with the Russian mathematical physicist, Alexander A. Friedmann, who in 1922, armed with Einstein's general relativistic equations, developed the picture of the universe expanding from a point origin.1 The timing was wrong, however, and Friedmann's work attracted little attention. It was another Russian, the playful physicist George Gamow, who came to be identified with big bang cosmology. In the same year that the afiy paper was published, another cos-mological scheme was proposed to account for the presently observed universe. The architects of this theory were Fred Hoyle, Hermann Bondi, and Thomas Gold from Cambridge University, who developed it in two papers published in 1948. This theory, called the steady state theory, was the polar opposite of the big bang.4 Whereas the big bang posited a definite beginning and ongoing evolution, the steady state theory was based on what can be called the perfect cosmological principle: the universe looks the same regardless of where or when observations are made. The perfect cosmological principle has great appeal. Of course, any cosmology must account for facts such as the observed expansion of the universe. In the face of this incontrovertible observation, steady state theorists had to find a way to keep matter from thinning out as the expansion occurred and to maintain a constant density of matter over time. To do this they made a bold and unfounded basic assumption: they assumed that hydrogen atoms are continuously created throughout all of space. To match the observed expansion and to maintain a constant density of matter, about one hydrogen atom must appear in each and every cubic meter of space every 300,000 years. The two theories, steady state and big bang, vied for adherents and dominance throughout the 1950s and into the 1960s.5 But the steady state's appealing principle was no match for the incontrovertible facts that soon surfaced. The relentless adjudication between two strongly held scientific and philosophical positions began. One such fact that required assimilation into cosmological models was the discovery of quasars. Quasars, discovered in 1963, are prodigious sources of energy. Quasars gush energy at such a rate that just one quasar contains the energy equivalent of all the stars in a large galaxy. Equally perplexing were the large red shifts measured for quasars, which meant that all quasars reside at enormous distances from Earth. For the steady state theorists, the distribution of quasars was irreconcilable: for quasars to exist only far away and hence long ago absolutely violated the "same yesterday, today, and tomorrow" as well as "same here as elsewhere" principles of their model. A second fact that confronted cosmologists in the 1960s was the discovery of a radiation that permeated the universe. This radiation, called microwave background radiation, had been predicted in 1948, but the prediction attracted little to no attention.6 In fact, the confirmation of this prediction, the discovery itself, was made serendipitously in 1965. Arno Penzias and Robert Wilson, two physicists working at the Bell Telephone Laboratories in New Jersey, were trying to determine the source of interference that accompanied satellite communications. Their objective was to eliminate the troubling interference. They used a horn-shaped antenna similar to though larger than the one used by Purcell and Ewen. No matter where in the Milky Way they pointed the receiving antenna, they detected a background hiss that had the same intensity. They tried everything to eliminate the hiss, including cleaning pigeon droppings that had gathered in the horn-shaped antenna. They finally were forced to conclude that the radiation they were observing was cosmological in origin. They had discovered, by accident, microwave background radiation. It is sometimes curious how scientists do things. Background radiation is a natural consequence of big bang cosmology: the universe originates at a hot point. With a bang, expansion begins, and then slow cooling. The high-energy radiation that accompanies the big bang also cools and eventually its wavelength stretches to its present microwave dimension characteristic of a cosmic temperature of about 2.7K—just above absolute zero. So why didn't scientists actively look for this radiation? Well, in time they were going to do so. Just as Penzias and Wilson made their discovery, another group of physicists was tooling up to probe the skies for this remnant of the big bang. Quasars and microwave background radiation, among other things, could not be accommodated by the steady state theory, whereas they fit gracefully and logically with big bang cosmology. One of these "other things" brings us back to hydrogen. The intrigue the big bang held for George Gamow was its potential as the means to bring quantitative understanding to the observed abundances of the chemical elements. Gamow thought that the extreme conditions present during the early moments after the explosion might have provided a caldron in which the elements could have originated. Gamow's fascinating idea proved only partially correct. All the elements except three are synthesized in the interiors of stars. The three exceptions, deuterium, helium, and lithium, are indeed a product of the big bang, whereas the heavier elements—oxygen, nitrogen, magnesium, and iron—result from the fusion of hydrogen, helium, and heavier elements in stars. (Elements heavier than iron are created during stellar explosives called nova or supernova.) So although Gamow's idea missed the bull's-eye, it was certainly on target. In the first chapter of this book, deuterium was identified as having originated moments after the big bang; thus, deuterium is primordial in character. This raises an important question: Can the currently observed amount of deuterium in the universe become another empirical check on big bang cosmology? More specifically, can the nuclear synthesis of the light elements—mostly helium (4He) plus mere traces of deuterium (2H), helium (3He), and lithium (7Li)—which occurred over a brief period soon after the big bang itself, account for their currently observed abundances? haps more important in this harsh world, he was an extraordinary person of great generosity and kindness. 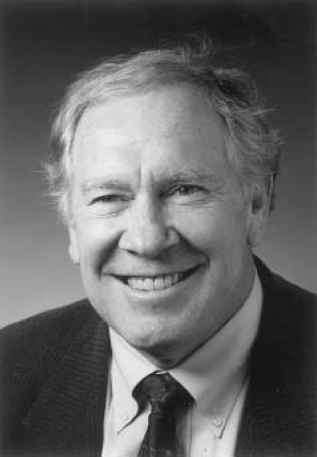 "8 "I always considered him to be the leader of our field," said Alan Guth, the creator of inflationary cosmology.9 In his prime, David Schramm died when the plane he was piloting crashed into a Colorado wheat field on December 19, 1997. He was fifty-two. Schramm came by this interest in the link between particles and cosmology naturally. He pursued his doctorate at the California Institute of Technology under the direction of William A. Fowler—Willy, as he was known. Also at Caltech were Hubert Reeves and his graduate student Jean Audouze. Fowler was interested in all nuclear astrophysics and Reeves and Audouze were interested in the light elements. Schramm put nuclear astrophysics and the light elements together and it became one of his passions. Schramm wanted to find out if the abundances of the light elements were consistent with big bang cosmology. To answer this question, he would need to refine theoretical predictions based on the tenets of big bang cosmology, design and carry out astronomical experiments to measure the abundances of the four light elements, and compare the results. As we shall see, the results for deuterium are particularly important—deuterium abundance depends on one and only one important parameter: the density of matter. Predicting the abundances of light nuclei during the brief epoch of big bang nucleosynthesis (BBN), an event that occurred only moments after the big bang, is a beautiful example of how laboratory physics—hard data—can confront an unobservable cosmological event. The prediction of the abundances of light nuclei during BBN draws directly from data gathered in terrestrial laboratories. Here is the stage for the drama: immediately following the big bang, expansion and cooling began. At about 100 seconds after the big bang, the temperature reached 1010K; after 1,000 seconds, the temperature had dropped to 109K. Prior to 100 seconds, at temperatures higher than 1010K, free protons and neutrons existed with such high energies that the strong nuclear force could not bring them together to form a nucleus. At temperatures lower than 109K, after 1,000 seconds, nuclei are not moving fast enough to break through the repulsive electromag netic force acting between their positive charges. Thus, the window for the synthesis of nuclei existed during those fifteen minutes from about 100 seconds to about 1,000 seconds after the big bang while the expanding universe cooled through the 9 billion degrees from 1010K to 109K. The proton and neutron have been studied in laboratories over the energy range experienced by these particles during the period of primordial nuclear synthesis. Thus, the dynamics of their behaviors are known. With this knowledge in hand, predictions can be made. The predicted abundance of the light nuclei coming out of the big bang depends on one unknown: the number of protons and neutrons present during BBN. Or, since the number of protons and neutrons determines the density of matter during BBN, we can say that the predicted abundances depend on the density of matter. How do we know the density of matter 15 billion years ago? Since the total amount of matter has not changed between then and now, it can be determined by careful estimates of all the visible matter in all the known clouds, dust, planets, comets, stars, galaxies, quasars, and so on. Of course, such estimates are not exact, therefore the estimations are extended over a small range surrounding the best estimate. Over this range, the deuterium abundance is predicted to be in the vicinity of three deuterium atoms for every 10,000 hydrogen atoms. This prediction was made in 1991 by Schramm and others.10 Shortly before his death, Schramm set out to refine this prediction, which resulted in an abundance of primordial deuterium—just under 3.5 atoms for every 10,000 hydrogen atoms. Are there processes in nature that destroy deuterium? For certain, any deuterium that was part of a cloud that condensed to form a star would be depleted. Stars fuse hydrogen. There are other processes, though rare, that work to take deuterium out of circulation. Their effect would lead to slight reductions in the observed amount of deuterium. So how does the predicted abundance of deuterium compare with its actual abundance when the universe came out of the period of nuclear synthesis 1,000 seconds after the big bang itself? The obvious way to determine the abundance of deuterium is to look for its spectral lines, emitted from a nearby cloud of hydrogen. However, since the clouds of hydrogen gas in our galaxy have been cycled in and out of stars several times since the big bang, the deuterium content has been depleted and is therefore not a good measure of its abundance just after the big bang. What we require is a pristine, primordial source of hydrogen that will have hydrogen and deuterium present in the same ratio they had after the period of BBN. A very clever experiment has been designed to show this. Quasars are at great distances from Earth, which means that we see them now as they were when the universe was very young. On its way to Earth, the light from these distant quasars passes through hydrogen clouds that have not condensed into galaxies, and hence these clouds are free of stars. One such cloud has a red shift that places it approximately 14 billion light years away. Fortunately, behind this cloud is quasar Q0014+813, one of the brightest. The light we see from this quasar passed through the hydrogen cloud 14 billion years ago when the universe was still very young. The deuterium nuclei contained in such a pristine cloud would have only one origin: big bang nucleosynthesis. Looking at the light coming through such clouds, the presence and abundance of deuterium can be determined. This was the beautiful experiment carried out on Mauna Kea in Hawaii with the ten-meter Keck telescope taking in the light of quasar Q0014+813. The experiment was performed by a team from the Universities of Hawaii and Washington on November 11, 1993,13 and the results were reported in their paper "Deuterium Abundance and Background Radiation Temperature in High-Redshift Primordial Clouds." The result of this experiment? The observed abundance of deuterium in this primordial cloud was in the range of 1.9 to 2.5 deuterium atoms for every 10,000 hydrogen atoms. This initial experiment has been refined and the results from other groups have pushed this result upward. A more recent result reveals that there are about 3.4 deuterium atoms for every 10,000 hydrogen atoms.14 Clearly, the predictions of BBN are consistent with experimental results. Therefore, the abundance of deuterium provides a good check on big bang cosmology. In the process, however, another puzzle emerges. The experimental result of approximately three deuterium atoms for every 10,000 hydrogen atoms, if it survives further experimentation and is verified by other observers, may have another profound impact. The amount of deuterium produced just after the big bang depends, as stated above, very sensitively on the total number of protons and neutrons present during those early moments. However, the total number of protons and neutrons today is the same as the total number of protons and neutrons when deuterium was produced. Thus, knowing the primordial abundance of deuterium tells us the number of protons and neutrons today. This same number essentially determines the mass of the visible universe. The resulting mass coming from this process falls short of the mass needed to explain the gravitational behavior of galaxies and their halos. In short, there is missing mass. This missing mass has come to be called dark matter. Since the deuterium abundance of three deuterium atoms for every 10,000 hydrogen atoms is consistent with the observed number of protons and neutrons, the missing matter must be made up of something other than protons and neutrons. In other words, the missing matter, the matter required to explain the gravitational effects observed in galaxies, exists in some unknown form. The nature of this missing matter is a burning question of astrophysics. The abundances of the light elements are now considered one of the most stringent tests of big bang cosmology. Among the light elements, deuterium abundance plays a particularly significant role because it depends so sensitively on the density of matter. Thus, the heroine of this book, hydrogen, sits in judgment on the efficacy of big bang cosmology as well as being a primary indicator of the density of matter.